Escape to Montana Drift and leave your cares behind. 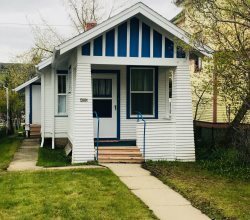 This cozy duplex rental features everything you need to relax and enjoy your private Montana getaway: comfy beds, full kitchen, hot tub, flat screen TVs, internet and a game-room you have got to see to believe; pool table, shuffleboard table, dart board and more! Even though this is a duplex you will never know you have neighbors. Located in a quiet neighborhood just below the West Bench of Red Lodge, Montana Drift features unobstructed views of the historic downtown area and is only minutes from the local eateries and watering holes. So pack a bag, grab the kids and experience Red Lodge- Montana Drift style!